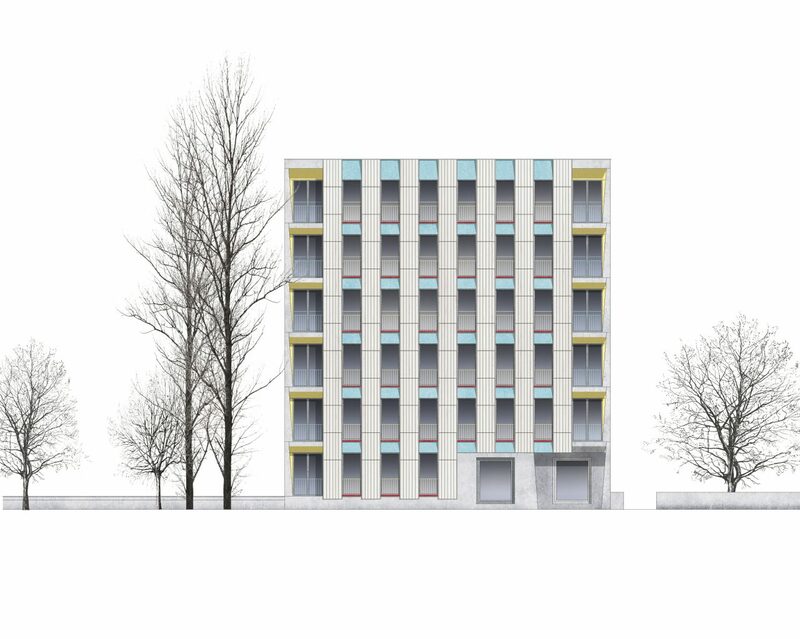 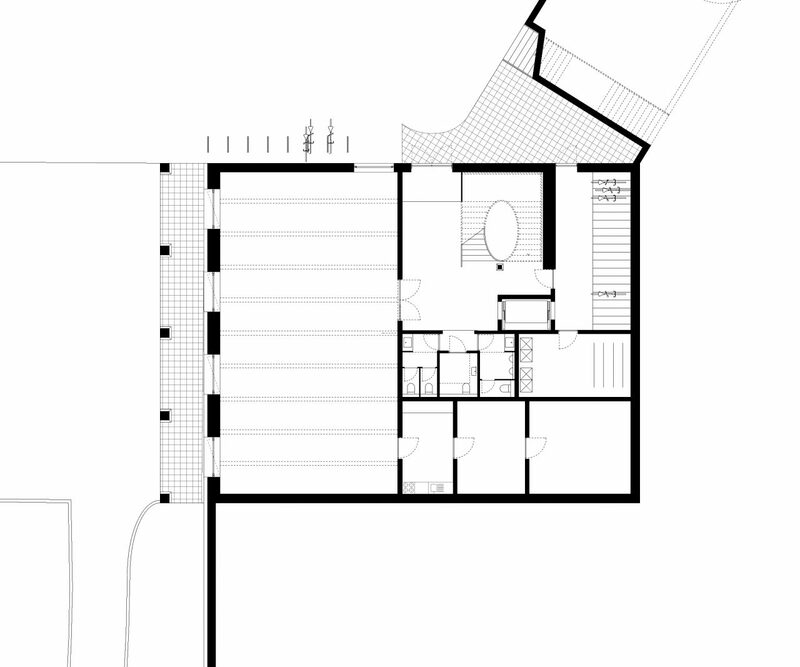 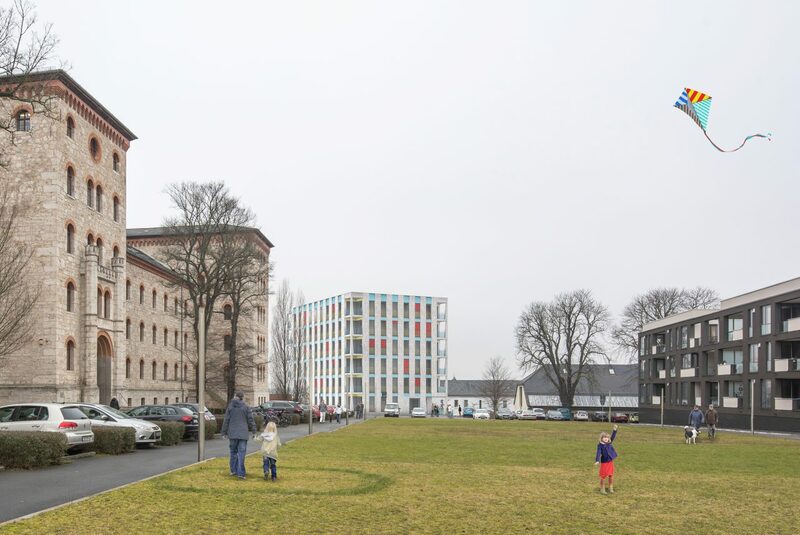 The proposal is built directly onto the long concrete wall designed by Luigi Snozzi as a strategic landscape element which reinforces the overarching idea of the masterplan for “Housing am Horn”. 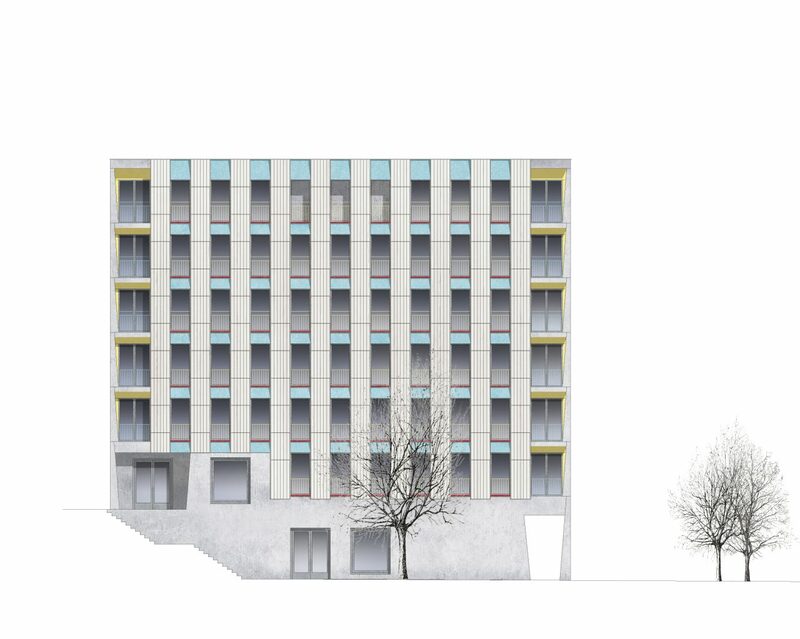 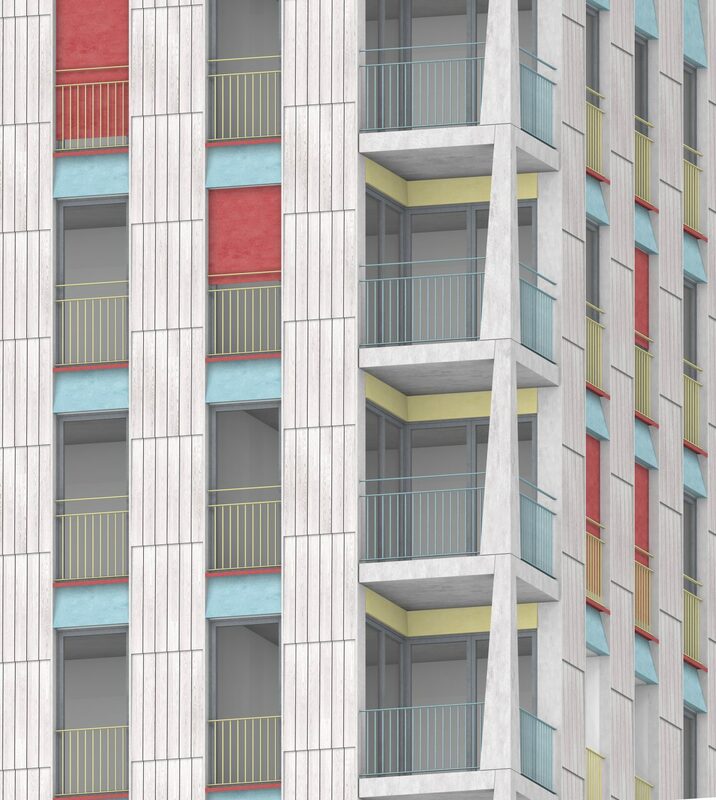 The new student housing forms a vertical endpoint for Snozzi’s wall and translates its solid character into a tall and light timber structure with its four corners rising up as stacked loggias above a solid concrete plinth. 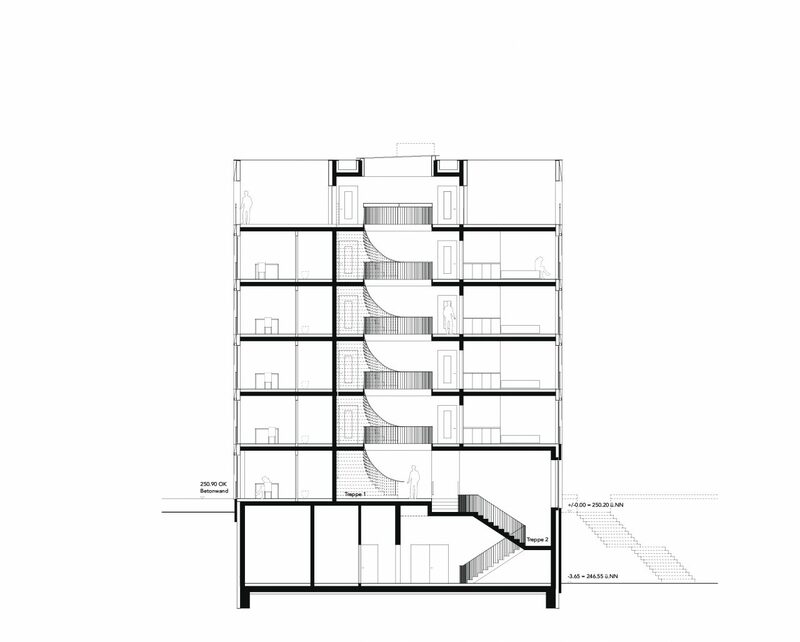 Echoing the famous nearby Bauhaus atrium dwelling by Muche, all rooms and flats have been arranged around a vertical circulation core at the centre which is filled with light falling through a skylight deep down into the 6-storey structure. 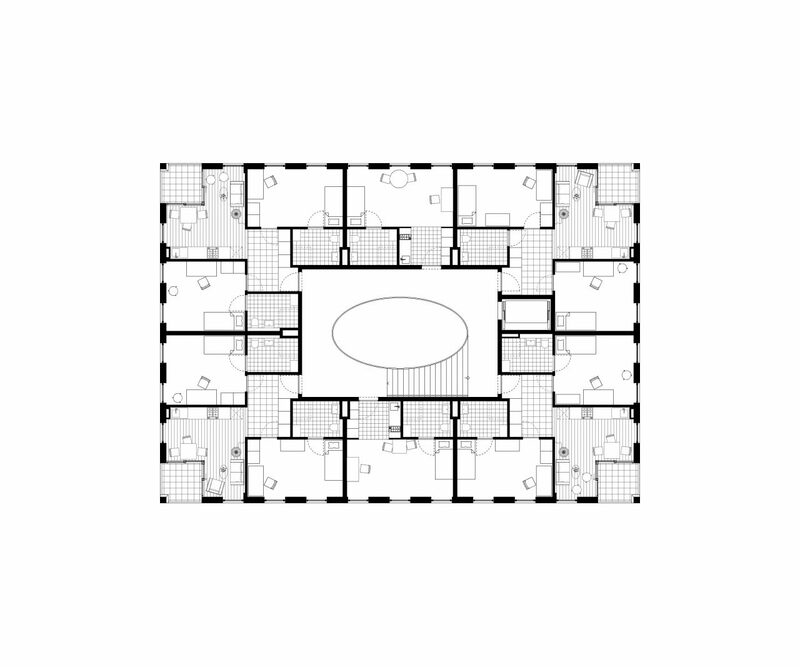 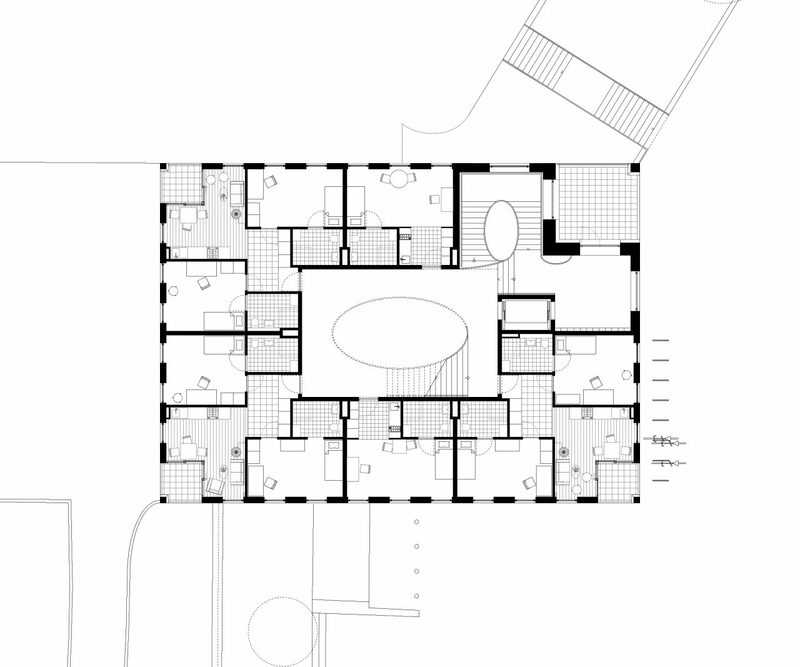 All habitable rooms are arranged along the facades whereas large bathrooms suitable for flexible elderly housing make a ring around the atrium. 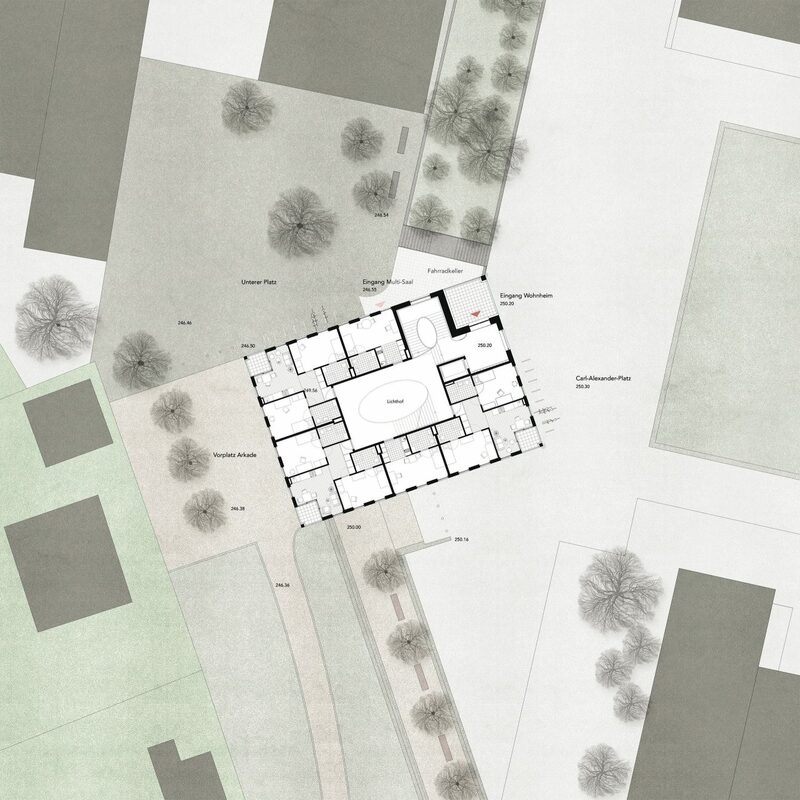 The shared spaces like the atrium entrance, hall, kitchen and loggia are hanging together like a diagonal enfilade linking the centre of the building with the terraces and generous views across the adjacent square and down to the park and city of Weimar. 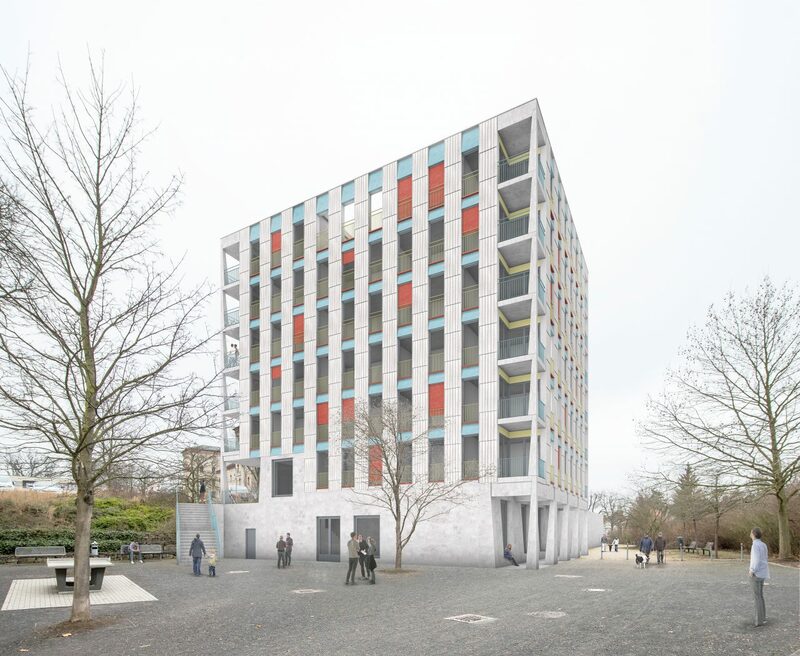 A hybrid construction of a concrete core and columns around the perimeter in combination with walls, ceilings and facades pre-fabricated in timber provides maximum flexibility and sustainable timber resources from the Thuringian forest.